We encourage custom trip planning, and we’ll work with you to make your time with us as good as it can be. We’ve assembled a few sample itineraries, to help get you started. Please note that we can arrange with you any itinerary subject to your budget. Jeep Safari is an absolute must for adventurous at heart. You will enjoy stunning views, waterfall and untouched bays on your jeeps driven by experienced drivers. BUT keep in mind! This is NOT A RALLY! It is a nature exploration in a fun way! 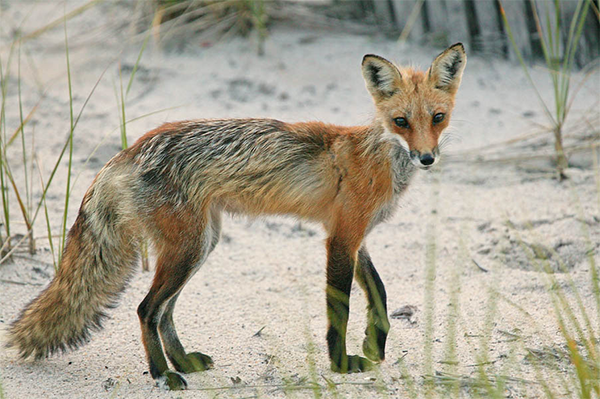 To help you plan your next group tour, we’ve compiled a number of sample itineraries. 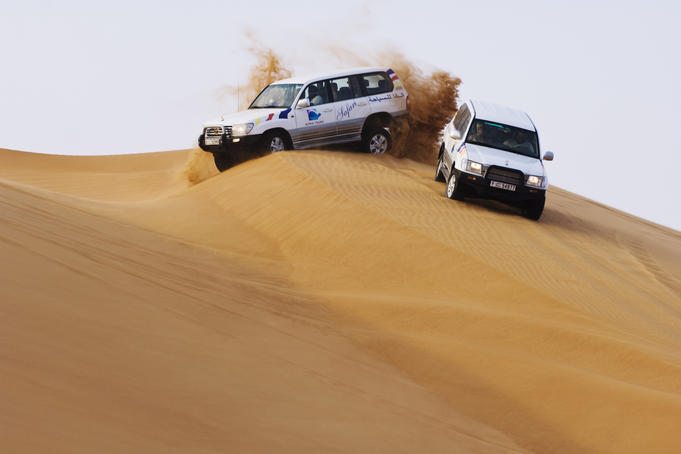 Use them in whole or in part to get a taste of the exciting adventures awaiting you here on Sinai. Or contact us to begin customizing an itinerary best suited for your group. The desert and High Mountain Region have animal and plant-life you wouldn’t notice if no special attention was given to it. We organize camel and walking treks in the area of St. Katherine and other parts in the Sinai with special focus on the animal life you walk past with or without noticing (birds, mammals, reptiles etc) and the plants and their usefulness for the Bedouins (herbal, medicinal, fodder etc). The Sinai has an interesting geological history. 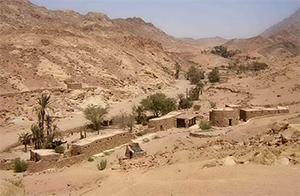 Different periods in the geological history can be seen when traveling through the Sinai. 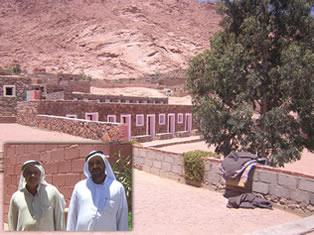 The Sinai has also been a thoroughfare and a place of importance to people throughout the centuries. These people have all left their mark in the Sinai landscape. The treks we organize will be a passage through time, concentrating either on the geological history or human history (from pharaohs and the bronze age to the Nabatean era and the Byzantine era to the crusaders and the Ottomans). These treks will combine the use of jeeps and camels, as larger distances will have to be covered. Below are a collection of themed itineraries developed by our team and available for your planning purposes. These itineraries are also available as a stand-alone print piece – please contact us for more information. Highlights: Mt. Sinai (Gebel Musa), Mt. Katherina, the palace of Abbas Pasha, El Karm Eco-Lodge, Ein Khodra oasis, The first part of this program is trekking in the mountains and finishing in the stylish El Karm Eco-Lodge, from where we will be transfered to the desert by Jeep and discover the sights on foot. - Wadi Rum - Sleep in desert - Walk to road - Transfer to coast. Highlights: The Palace of Abbas Pasha, the pool of Galt el Azraq and the 'Door of the World', White Canyon, Oasis Ein Khudra, Closed Canyon, Nawamis, Jebel Barqa, Haduda sand dune. The first part of this program is trekking in the mountains and visiting its most beautiful sites, then we will be transfered to the desert and discover its highlights on foot. Start from El Milga - Abu Jeefa - Wadi Tubug - Wadi Shagg - Sleeping in Wadi Zawatiin - Jebel Abbas Basha - Wadi Tinya - Sleeping in Abu Tuweita - Farsh Umm Sila - Galt el Azraq - Sleeping in Farsh Rummana - Ein Najila - Bab el Donya - Masb Abu Gharun - Sleeping in Wadi Jibal - Sid Daud - Wadi Talah - Sleeping in St. Catherine -Transfer to White Canyon - Sleeping Ein Khodra - Closed Canyon - Sleeping in Wadi Rum - Nawamis - Sleeping in Matamir - Jebel Makharum - Sleeping at Jebel Barqa - Haduda sand dune - transfer to coast. Highlights: Nawamis, Mt. Sinai (Gebel Musa) and St. Catherine's Monastery, view of Ein Khodra oasis from a plateau. Day 1: Pick up at the Hotel and transfer to St. Catherine. Visiting ancient Nawamis 40 km before. Lunch, Dinner and night in the Bedouin Guesthouse. Start at 1 o´ clock in the night to climb up Mount Sinai for the beautiful sunrise. Day 2: After breakfast climb down Mount Sinai and visiting the monastery. Lunch in Guesthouse. Transfer back to the coast, including a short break to enjoy a beautiful view over Ain Khodra. Day 1: Pick up at the Hotel and transfer to St. Catherine. Visiting ancien Nawamis 40 km before. Lunch, Dinner and night in the Bedouin Guesthouse. Start at 1 o´ clock in the night to climb up Mount Sinai for the beautiful sunrise. Day 2: After breakfast climb down Mount Sinai and visiting the monastery. We start with our Jeep in St. Catherine. After leaving the road we drive through the desert to the top of the White Canyon. We walk through the amazing White Canyon (1 hour) in direction to the beautiful Oasis Ain Khodra where we have dinner and spend the night. Day 3: After breakfast we go by Jeep to the Closed Canyon. Then we walk across the wadi and discover an amazing rock-formation called "Mushroom Rock ". Via Wadi Ghazala we come back to the road. Transfer Back to the coast. Day 1: Pick up at the Hotel and transfer with Jeep to the Coloured Canyon. Our Jeep-Safari further goes to Wadi Samri and Wadi Disco to the be beautiful Oasis of Ain Khodra where we have dinner and spend the night. Day 2: We start at Ain Khodra and go with our Jeep to Wadi Ghazala. On our way we visit ancient Nawamis. Afterwards through Wadi Matamir and Wadi Birga to Wadi Hammam. We stay overnight there. Day 3: Passing the sanddune of Wadi Safra our way goes to Wadi Jinah and Wadi Arada where we have lunch. After our break we hit to the road to St. Catherine. Dinner and night in the Bedouin Guesthouse. Start at 1 o´ clock in the night to climb up Mount Sinai for the beautiful sunrise. Day 4: After breakfast climb down Mount Sinai and visiting the monastery. Transfer Back to the coast. Day 1: We pick you up at the Hotel and go with the car to Wadi Ghazala. Here we take our camels and start riding in direction Wadi Disco. We spend the night in Wadi Milahis (= eyes of water) in a small garden. Day 2: Along Wadi Khodra we go with the camels first to the 'Mushroom Rock'and afterwards to the Closed Canyon. 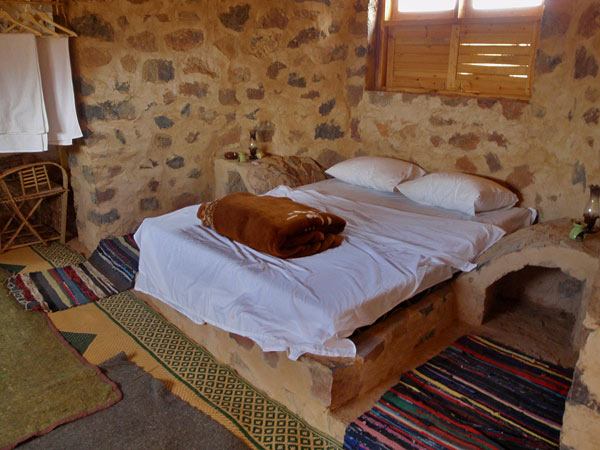 After visiting the Canyon we ride back to the beautiful Oasis Ain Khodra and stay there overnight. Day 3: We take our camels after breakfast and ride along Wadi Rum. In the afternoon (approx. 4 o´ clock) we come back to the road where a car is waiting for us. Transfer to St. Catherine. Dinner and Night in the Bedouin Guesthouse. Start at 1 o´ clock in the night to climb up Mount Sinai (optional with or without camel) to watch the beautiful sunrise. Day 2: Along Wadi Khodra we go with the camels first to the Mushroom Rock and afterwards to the Closed Canyon. 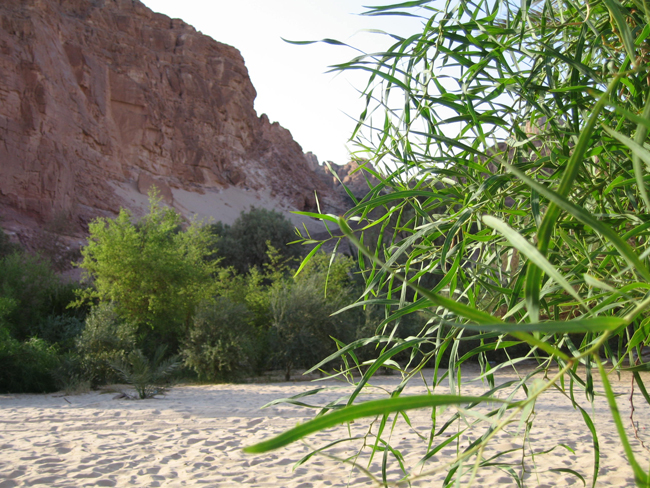 After visiting the Canyon we ride back to the beautiful Oasis Ain Khodra and stay there overnight. Day 3: After breakfast we go for a short walk to the White Canyon. Our camels our waiting for us on the top of the White Canyon. Along a way we visit ancient Nawamis and ride further to Wadi Matamir. The night we spend in Jebel Barqa and the 'Mountain with the Hole'. Day 4: We go by camel via Wadi Kiri back to the road where a car is waiting for us. Transfer to St. Catherine. Dinner and Night in the Bedouin Guesthouse. Start at 1 o´ clock in the night to climb up Mount Sinai (optional with or without camel) to watch the beautiful sunrise. Day 5: After breakfast climb down Mount Sinai and visiting the monastery. Transfer Back to the coast. 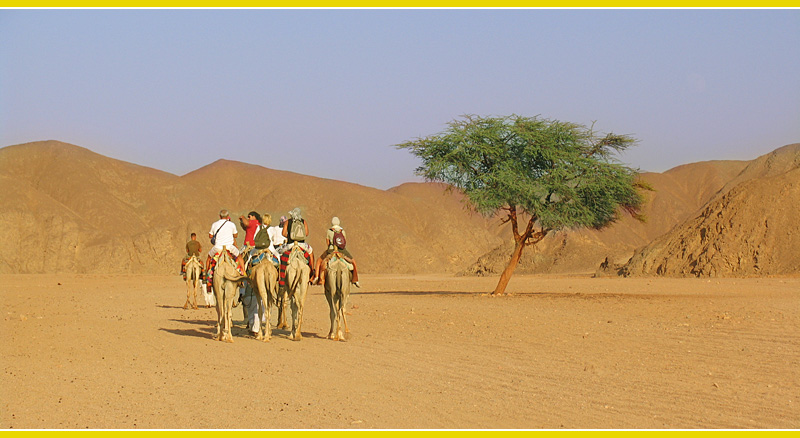 There are many different ways to reach the coast from St. Catherine through desert wadis, all the way riding camels and walking at places where camels can't carry people or when you wish. have single, double and twin rooms. Nine of rooms have an en-suite bathroom, a balcony, a fan and in the winter a heater. These rooms can also be used as triples. The other twelve rooms have either two single beds or one double bed and share bathroom facilities can be found throughout the camp. All showers have connected hot water systems. Naturally, fresh bed linen, blankets and towels are provided. There are also three backpacker's dormitories. Two rooms accommodate 6 beds and one has 3 mattresses on the floor. Check-out at Bedouin Camp is at 12.00pm and check-in at 2.00pm. 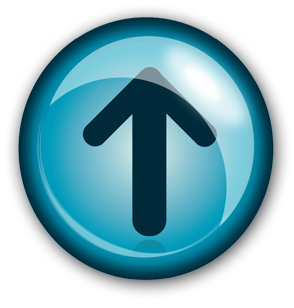 We are constantly upgrading our accommodation and have recently finished re-decorating our en-suite rooms; built a brand new showers and toilets building as well as new laundry facilities. 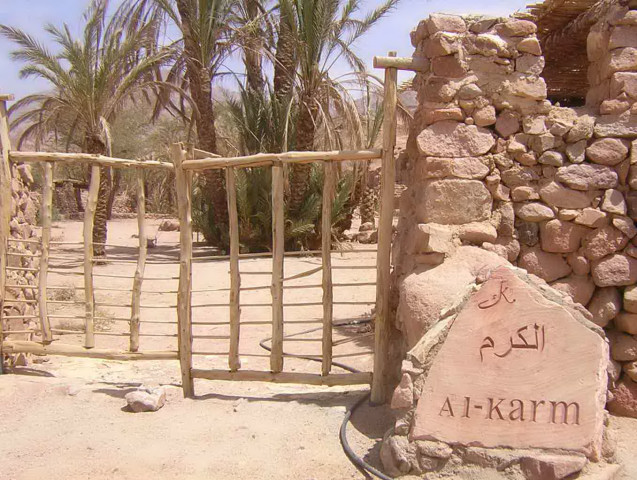 The Al Karm Ecolodge is an initiative of the St. Katherine Protectorate and Gamil Attiya, a bedouin from Sheikh Awaad village. Its situated just west of the circular dyke of volcanic black rock mountains. It can be reached by foot over the Nabq el Hawa pass or by jeep in the direction of Wadi Feran, turning off at Tarfa. Managed by the local Bedouin community in Wadi Isbaiya in cooperation with the Sheikh Sina project. Hidden behind Mt. Sinai, away from the tourist crowds. Within walking distance of St Katherines' monastery. Only 20 minutes drive from the town of St Katherines. Use the Mt. 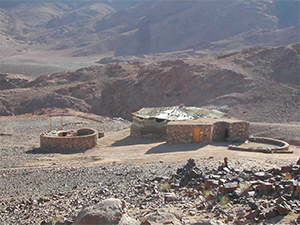 Sina ecolodge as your starting point to fully experience Moses famous mountain. Whether you wish to climb for sunset, sunrise or fully immerse yourself with a full day program, viewing everything the mountain has to offer, the Mt. Sina ecolodge offers the perfect base away from the 1,000's of tourist who flock daily to this religious landmark. The Desert Fox Camp, a short walk away from the Monastery of St. Catherine and right at the foot of the Mt. 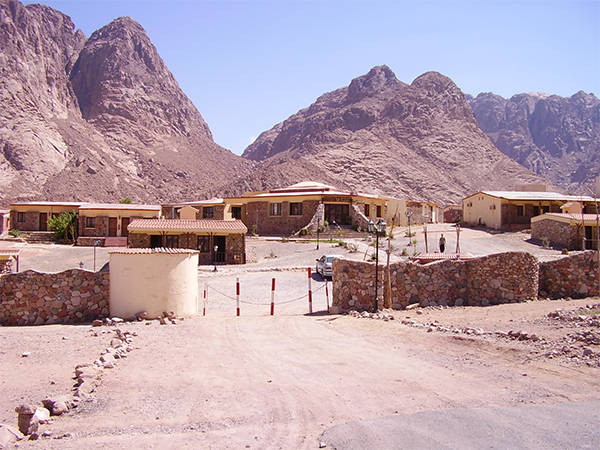 Sinai massif, provides a variety of accommodation types for individuals or groups, for longer or shorter stay, with a chance to explore the area or just to relax. There are 6 rooms with 3 beds and 8 double bed rooms. For these rooms there is a toilet/shower block with running hot water. 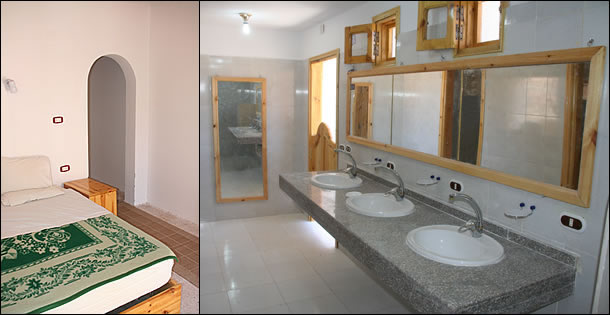 7 rooms have been built this year with toilet, shower and airco/room heating. The price for these rooms include breakfast. On the main road before the village center, opposite FanSina Bedouin Handicraft building. Located in the heart of the Sinai Peninsula and in the Protectorate of St. Catherine. Just 3 km away from the Greek Orthodox Monastery of St. Katherine & The Mt. 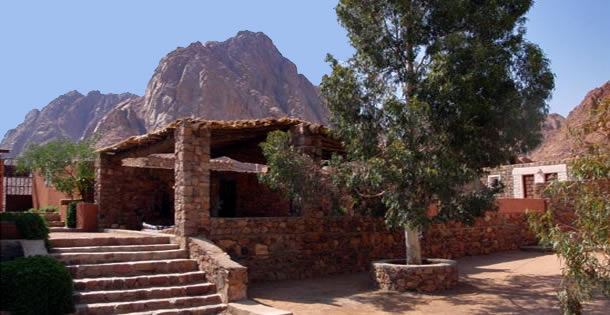 Sinai (Moses) , the holy Mountain, where the Lord addressed Moses and dictated him the Ten Commandments. Daniela Village is a compound of 72 double bed air-conditioned bungalows with private bathroom, and two suites. Hala Resturant proposes oriental and international specialties. Karim Cafeteria offers a 24-hour service of snacks and beverages. Day 2: Discover the various chapels on Safsafa Plateau. Descend to Wadi Arbaein and Monastery of 40 Martyrs via the Monks Path. Lunch at Ramadan's Hyrax Farm. Climb Naqb Ahmar and from there to the top of Mount Katherine (highest mountain of the Sinai at 2642 m) Sunset on the summit. Sleep in a cabin just under the summit. Day 3: Meander down among large boulders and over mountain fields (“Farsh”). Climb Gebel Ahmar (2318 m). Walk through Wadi Shagg and past Geziret Shagg. Camp in the orchard of Saad Mahmoud in Wad Zawatiin. Day 4: Walk up Wadi Zawatiin a short distance and turn left up Naqb Gebal. Walk down the open plain of Gebal to Farsh Romana. Walk up a small meandering goats path to Naqb Mishaikl and enjoy the view all the way down to the Gulf of Suez. Turn right and meander along Wadi Za’tar until Ein Nagila where there is a path to the left up Gebel Bab (also called Bab el Dunya = the gateway of the world, 2228m). Go down to Farsh Romana and camp there. Day 5: Follow the wadi to Galt el Azraq (= the Blue Pool). From Galt el Azraq up to Farsh Umm Sila for lunch. From Farsh Umm Sila up wadi Abu Tueta and from there up to Gebel Abbas Pasha and the unfinished palace of Abbas Pasha. (2383m). Sleep at the top. Day 6: Descend from Abbas Pasha down into Wadi Tinya to Wadi Itlah. Lunch at the school of Dr. Ahmad, the Bedouin Herbal Doctor. Continue down Wadi Itlah to Sheikh Awad. End the trek at El Karm Ecolodge. Day 7: Relax during the day, transfer late afternoon. This is a marvelous mix of Nile Valley splendor, compelling Sinai wilderness and Red Sea coast. In Cairo, the pyramids and Sphinx dazzle with their size and secrets, the Egyptian Museum with its treasures. In Luxor, the intricately detailed Karnak Temple and the Valley of the Kings inspire awe as much as the Nile itself – board your cruise boat and sail the great waterway south, to the Nubian capital of Aswan. Here there’s free time to visit Abu Simbel, before we return to Cairo to explore the labyrinthine wonders of the medieval city. Then on to the legendary Sinai – ascend Mount Sinai at dawn for an unforgettable sunrise over sublime desert, before enjoying lunch and a camel ride with new Bedouin friends. Later, relax in the chilled-out seaside town of Dahab, and spend more time in and out of the water at the snorkelling mecca and beach resort of Sharm el-Sheikh. Day 2: Visit Egyptian Museum, pyramids and the Sphinx. Sleeper train to Luxor. Day 3- Day 4: Visit Karnak Temple, Valley of the Kings, Temple of Hatshepsut and Colossi of Memnon. Board Nile cruise boat. Day 7: Free day in Aswan. Optional visit to Abu Simbel. Day 8: Morning flight to Cairo. Visit Old Cairo. Day 9: Drive to the Sinai. Day 10: Optional ascent of Mount Sinai. Afternoon camel trek then continue to Dahab. Day 11: AM relax and swim. , PM Drive to Sharm el-Sheikh. Day 12: At leisure in Sharm el-Sheikh. Day 13: Drive back to Cairo. Day 14: end of itinertary.